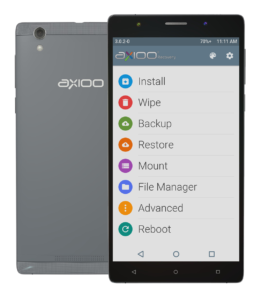 There is a reason I write this on separate article, this is TWRP for axioo M5C version 2, you cannot use this for M5C and vice versa. Why? On early week on this new year, axioo release another device revision of M5C model named as M5Cv2 that has a different hardware inside it. I’m not really sure what’s the different between the two, but as long as I know, the nand flash emmc and front / back camera are different. After installing this custom recovery, you can install root and Superuser manually as usual, I recommend to use latest chainfire SuperSU. If you want to use my custom rom for this m5cv2 model, then you not need to flash this root manually, it’s already included on my custom rom.